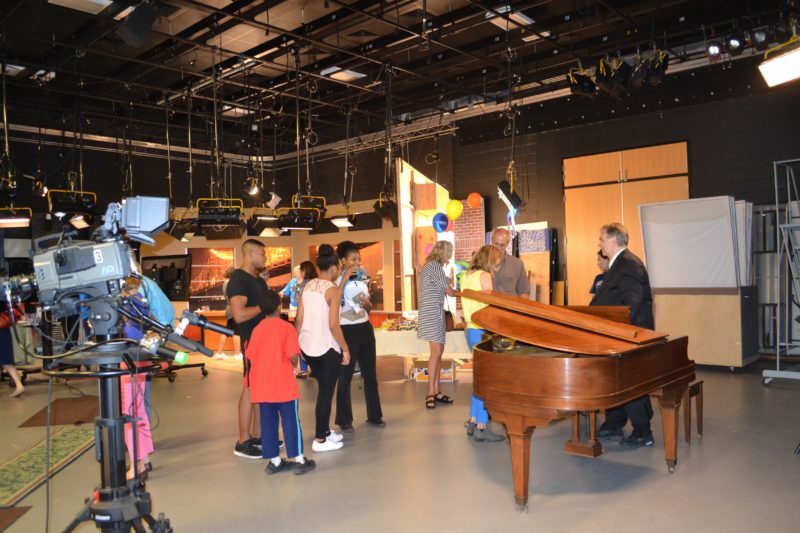 On Saturday, Sept. 16, WYES-TV threw open the doors so the public could experience its new headquarters, The WYES Paulette and Frank Stewart Innovation Center for Educational Media. 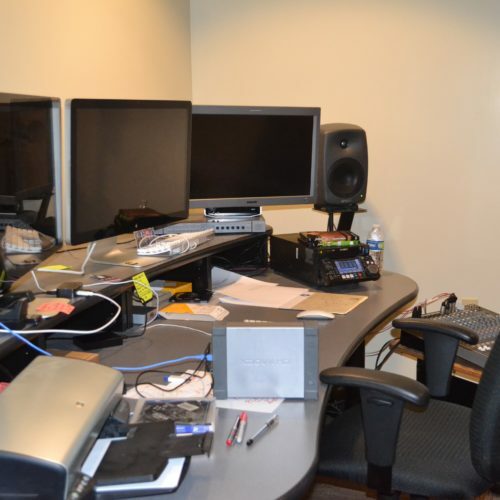 After a five-year “Breaking New Ground” capital campaign, the $17 million, 47,224-square-foot complex on Navarre Avenue in Lakeview is complete and features advanced technology that can be streamed worldwide across new platforms plus enhanced studio space wtih theater seating for live audiences. 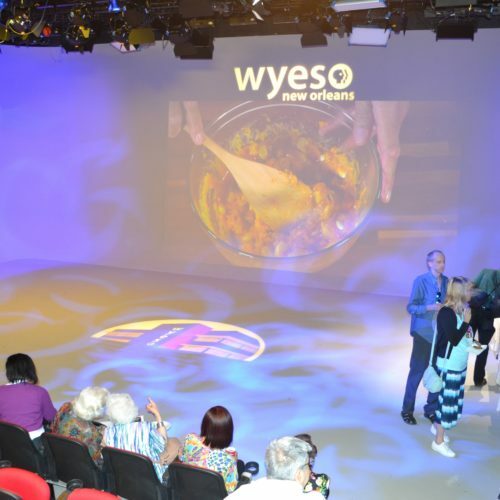 “We’ve been invited into New Orleans’ living rooms for 60 years; now we can invite the public into WYES,” said Allan Pizzato, president and chief executive officer. The public television station’s strategy was to involve audiences into its cooking shows, panel discussions and performances. One of the newly proposed concepts is a regularly scheduled music program to showcase homegrown talent. “We already do cooking shows that air nationally,” Pizzato remarked. Creole Chef Kevin Belton was on hand at the open house, showing off his on-air kitchen. Since April 2016, his 26-part cooking series, “New Orleans Cooking with Kevin Belton,” which explores the mix of cultures contributing to the city’s distinctive cuisine, has been broadcast to public television stations nationwide. The station’s culinary legacy includes programs hosted by Chefs Justin Wilson, Paul Prudhomme and John Besh. The center’s first-floor, 185-seat Charlie & Janette Kornman Performance Studio will feature special election coverage before a live, studio audience at 7 p.m., Tuesday, Oct. 3 on Informed Sources. The program is hosted by moderator Marcia Kavanaugh and producer Errol Laborde who will take questions from the audience. The public will also be invited in for the station’s weekly arts and entertainment review, Steppin’ Out. “We couldn’t do that before,” Pizzato said. Having produced 40-50 documentaries about the region, Pizzato considers WYES-TV to be “New Orleans’ Storyteller.” Its newest production is a 90-minute documentary, New Orleans: The First Three Hundred Years, narrated by actor John Goodman and written by Emmy-award-winning producer Peggy Scott Laborde. The documentary premiers at 7 p.m. on Nov. 15, 2017 on Channel 12. In addition to Channel 12, WYES has three other channels, Create; PBS Kids and World. In December, it will add a fourth channel, PBS Kids 24/7.